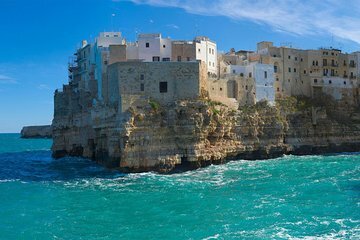 Independent travelers will enjoy this 3-stop tour in Puglia, which provides transportation from Lecce but allows you to explore on your own. There's no need to rent a car; just sit back and enjoy the scenery on the way to Ostuni, Alberobello, and Polignano a Mare. Explore each town on your own, with some tips from your guide if you wish.